A video game about Sentient Corn and some other things. Yes, you read that first part right. Immerse yourself and explore Maize’s fully realized environment, featuring a cornucopia of areas to explore (please do not punch your monitor screen after that terrible pun). You'll have to solve environmental puzzles that get more and more absurd the further you delve into the adventure. Ever wanted to handle a completely exposed nuclear-fuel rod? No? Too bad! 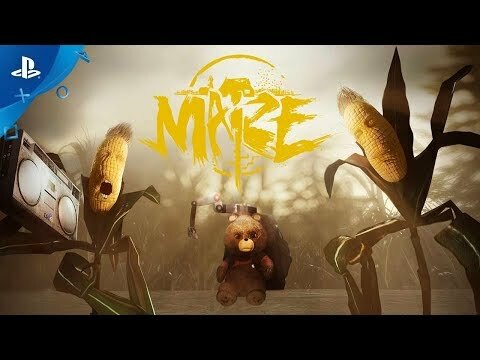 Uncover the secrets of Maize’s world, as you try and figure out what it is the corn really want. And maybe learn a bit about yourself in the process. Or not. Meet some friends and enemies along the way, which include a very small grumpy Russian robot bear and an unhinged albino corn stalk with an underbite.